Buy a Ancient Army Unit of your choice with this Crusader Miniatures deal. The deal is a 20 man Infantry unit. You choose what army you want it made up from. You will see that we pack our Ancient Armies in packs of eight troopers & four command. So a Twenty man unit is made up of two trooper packs and one command pack. When you order an Ancient Army Unit Deal, just add in the notes what type of soldiers you want. For example you could ask for: An Armoured Greek Hoplite Unit, A Middle Imperial Roman Legion Unit, A Thracian Tribesman with Rhomphaia Unit, Etc. If you are not sure, drop us an email and we'll explain it more. 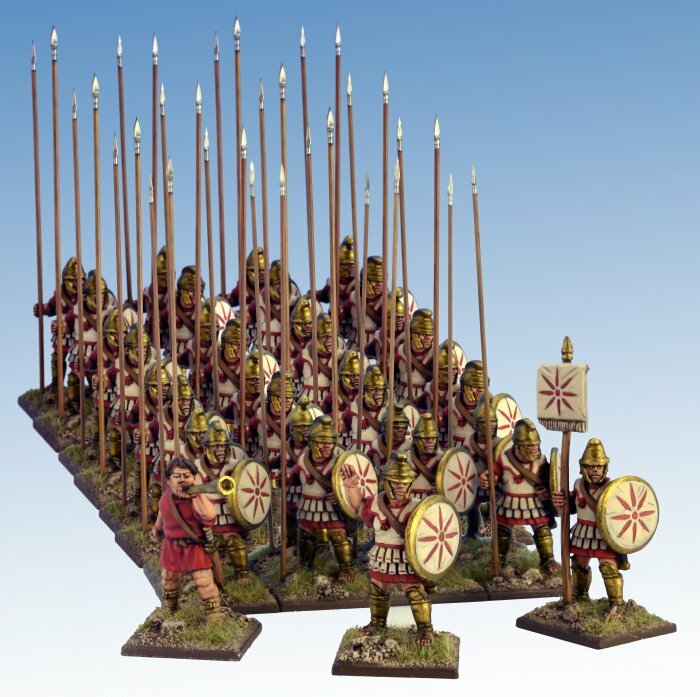 All Crusader Miniatures Ancient Army Units are 28mm sized metal figures, supplied unpainted. You will need to supply your own wire spears where needed.